Polyamory in the News: "This Blended Family Consists of 3 Couples, 3 Kids, and a LOT of Love"
"And So The Campaign For Polygamy Begins"
"This Blended Family Consists of 3 Couples, 3 Kids, and a LOT of Love"
I'm in the midst of a big editing job: Franklin Veaux's and Eve Rickert's forthcoming book More than Two, which is scheduled to be published May 30th. No cats out of bags from me, but let's just say this book is going to be an Event. It will immediately rank right at the top of the 36 nonfiction books about polyamory published in the last 30 years, and with its depth, insight and seriousity I think it could break out into wider mainstream attention. It will have a big running start from Franklin's reputation operating the world's most recommended poly site for 17 years, and Eve's depth and organic perspective broadening Franklin's tech-geek braininess — and the time is certainly right, with the public coming to see poly as a New Happening Thing. The interesting thing here is they're not even poly. The six adults, as far as we're told, are in three conventional though remixed couples. They're all interrelated by divorce and remarriage, all of the exes get along well and support each other, and they think of themselves as one big family. They broaden the polyfamily model beyond its focus on simultaneous multi-person romance. I see this larger model of chosen family as central to how good people will adapt their households to thrive in an increasingly harsh and resource-limited future world. As I've written about before. How does this group get along so successfully? Especially after they couldn't get along in their first marriages? We're not told much, but I bet they just grew naturally into the kind of skills that Eve and Franklin are teaching in More Than Two. Some people just do. 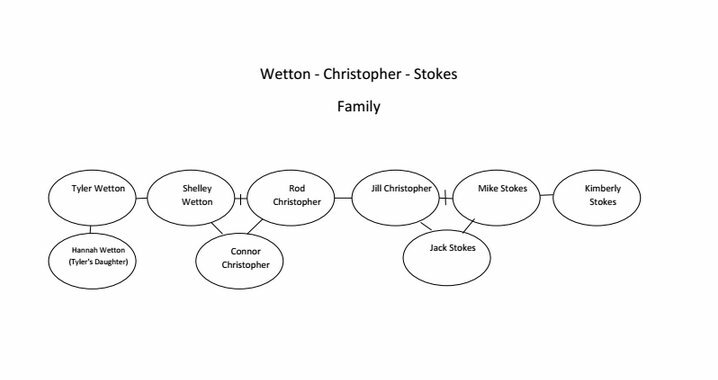 You know your family tree is complicated when you need an outline to help others make sense of how you're all connected. That's the case for Shelley, Jill and Kimberly, three stepmoms who've spent years forging a deep bond between their three families for the sake of their kids. "I never imagined I'd be friends with my ex-husband's wife's ex-husband's wife!" Shelley laughs. The three women tell us a little more about their special friendship and share some of the many ways their kids benefit from it. Shelley: There are nine members in our immediate blended family -- three couples and three kids. A family tree might come in handy to understand how we're all connected! Shelley (now married to Tyler, who has an 18 year-old daughter, Hannah, who lives on her own) and Rod (now married to Jill) share 50 percent custody of their son, Connor. 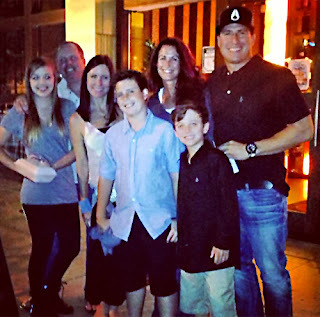 Jill (now married to Rod) and Mike (now married to Kimberly) share 50 percent custody of Jack. We arranged our schedules so our boys are together, in one household, 50 percent of the time. They’re step-brothers but we call them brothers. How long have you all been together with your spouses? Shelley: I've been married to Tyler for four years. Jill: Rod and I have been married for seven years. Kimberly: Mike and I have been married for four years. Kimberly: It was important that we all came together for the love of our children and so our kids can depend on all of us at any given time. It’s truly an extraordinary friendship -– we gather happily together on holidays, vacations or just a casual dinner or movie. There is no denying we all have a good time together. It’s more than friendship -– it’s family. ...What makes you proudest of your family? How does your family manage the stress that comes with being part of a blended family? Kimberly: We all work through our challenges. In the end we highly respect each other. Jill: We just communicate. And ultimately that reduces whatever stress I am experiencing. Read the whole article (Feb. 28, 2014).